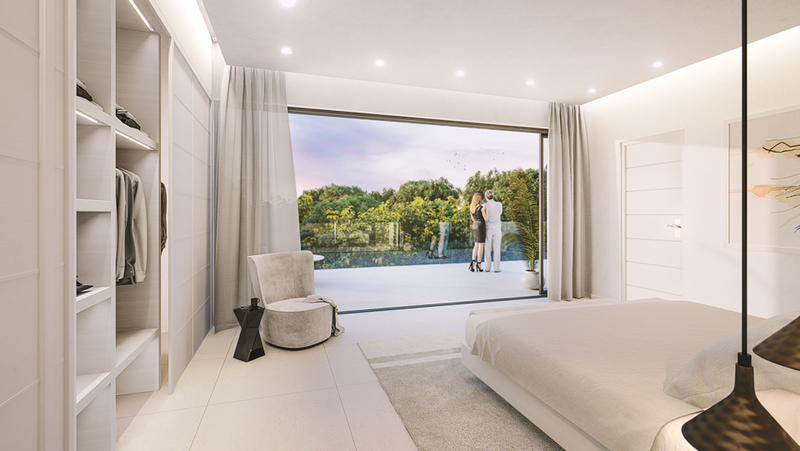 Villa Tierra is a single storey property plus basement with a separate wing for the bedrooms – all with en-suite bathrooms. 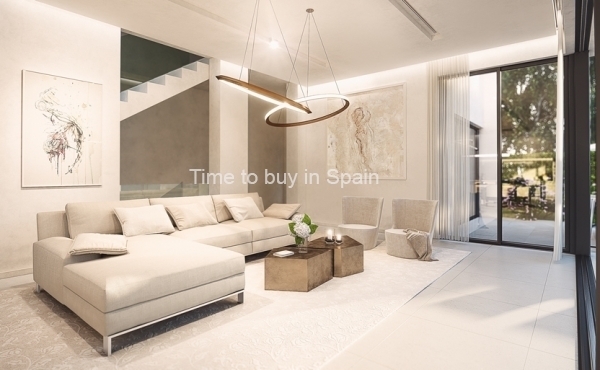 The main living area has a raised ceiling height of 4.5m, providing light and elegance throughout. 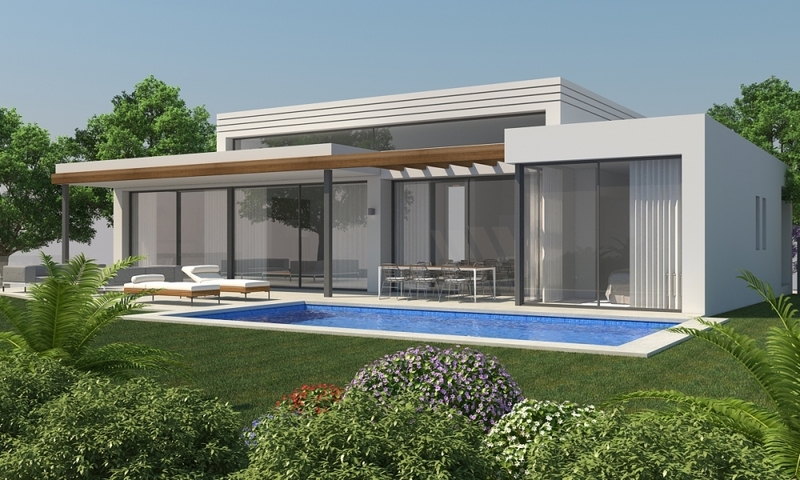 The centrepiece of the property is the internal landscaped courtyard, inspired by traditional Andalucian architecture. 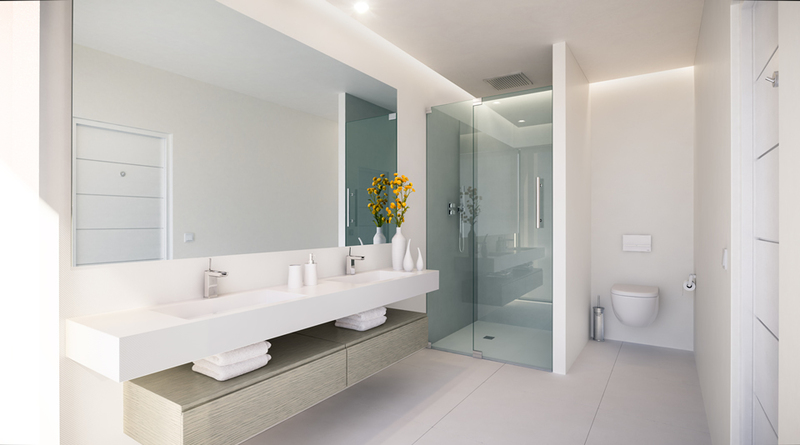 It is an open, glass-edged area that allows plenty of light to flow through the heart of the home. 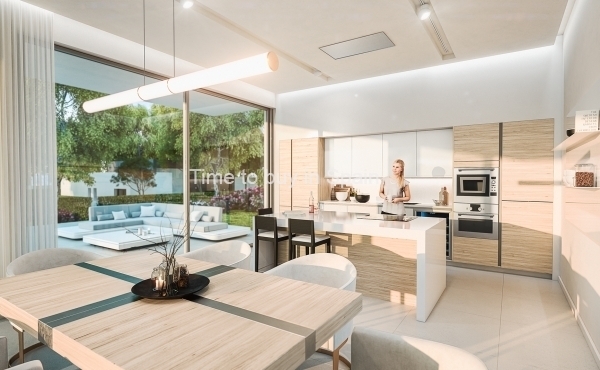 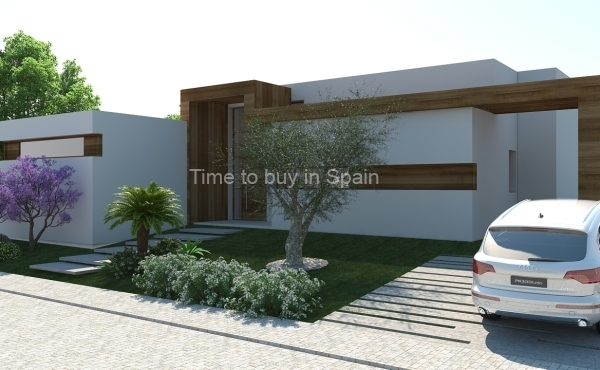 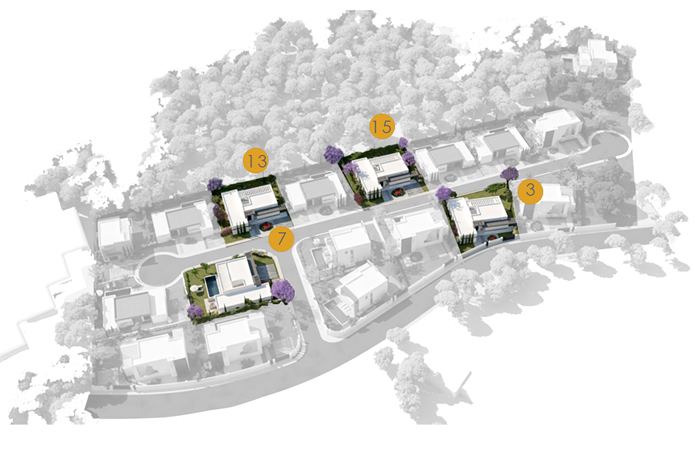 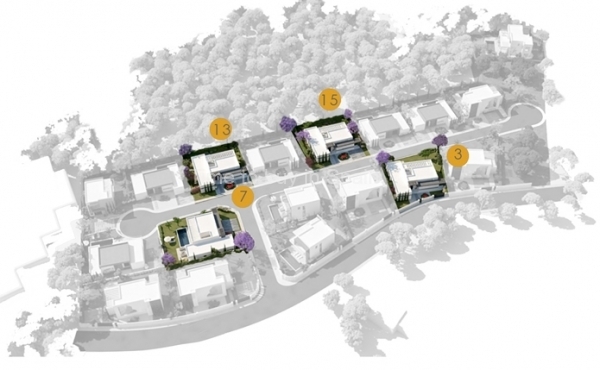 Tierra villas are located in a gated and private development with cul-de-sac that cleverly contrasts state-of-the-art contemporary property designs with an ambient warmth of vegetation and lighting to provide elegant homes that are a joy to inhabit. 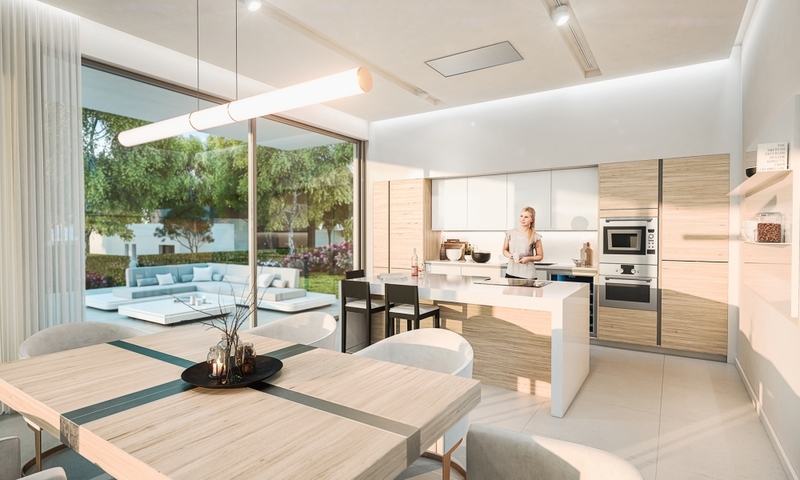 This combination of loving care and delectable style is visible throughout all of the finer details of the development plans, such as the carpentry finishes, the indirect illumination lighting, the natural stone flooring and the lush garden landscaping. 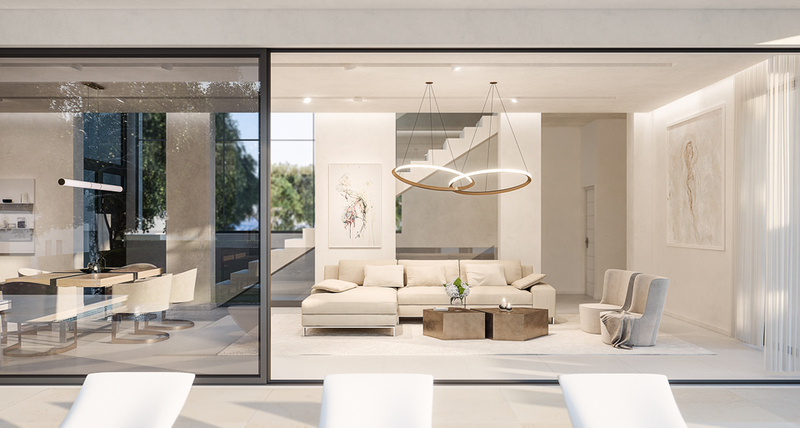 a seamless connection between internal and external flooring for maximised spatial perception plus floor-to-ceiling glass façades. 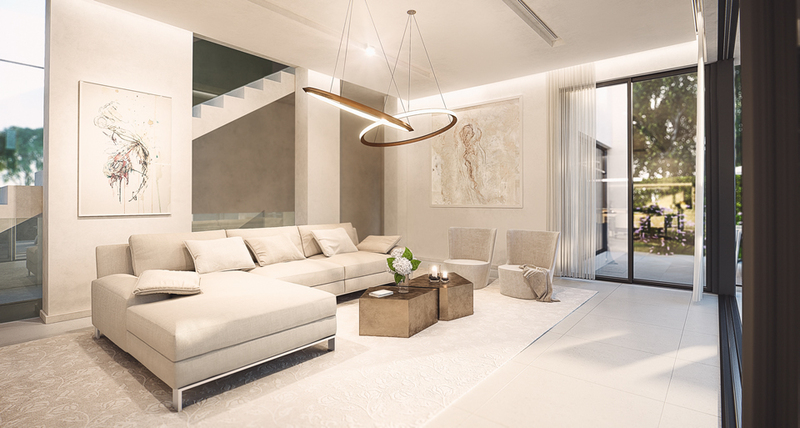 The interior designs have been composed by an American design consultancy to ensure that the very finest techniques and materials are applied, providing a contemporary and enjoyable environment. 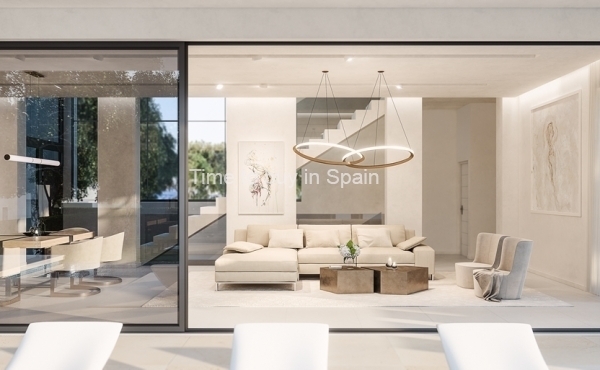 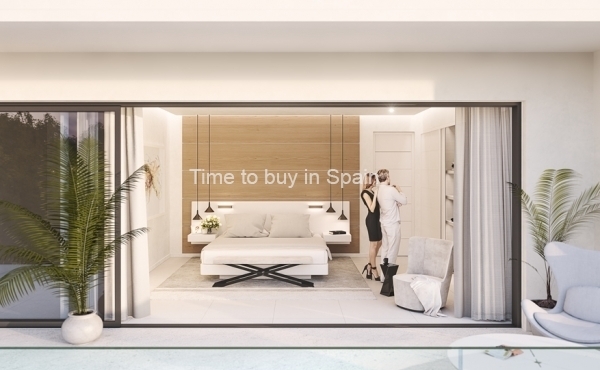 Each finish has been selected on its individual merit of quality, as well as its compatibility with the universal property design and its Southern Spanish surroundings.